April, 2019 | AllTech Services, Inc.
With temperatures warming, soon enough we’ll be able to start using our air conditioners on a regular basis. But, what if yours was having problems last year? 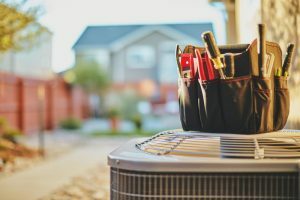 If it’s aging and repairs just aren’t a cost-effective option anymore, you may find yourself facing the decision of replacing your cooling system. Let’s say you have a central system in place. You should just stick with a new model of that system, right? Well, not necessarily. If you have damaged ductwork that can’t handle another season of use, or your heater is aging in addition to your air conditioner, then you’d do well to consider the ductless system. Be sure to contact our pros if you’re unsure of your decision, and keep reading to learn of the many benefits of installing a ductless system. Springtime is officially here, which means warmer temperatures are right around the corner. Before you know it, you’ll be soaking up the summer sun, and hopefully getting some fun vacation time in. But, is your home ready for summer? 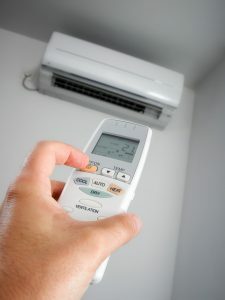 What if you need air conditioning repair in Sterling, VA, and don’t even realize it? A broken down air conditioner is the last summer interruption you need. Of course, this can be avoided by scheduling your AC maintenance tune-up session. Keep reading to see that we’ve outlined a few of the many reasons why you should schedule this service ASAP.